Tonight, I can’t sleep. The hum of the air conditioning bounces off the walls and fills the previously silent room. Tonight, it’s hit me again. Every few minutes my mind takes me back to that call, that room, that panic, that pain, and that fear. For those who don’t know, I was diagnosed with Generalized Anxiety Disorder about 4(ish) years ago. Few people know, but most won’t be surprised if you know me. I’ve planned to do a post on it and it never felt like the right time. But tonight, while the silence threatens to overwhelm me, I think it’s time I mentioned my diagnosis. 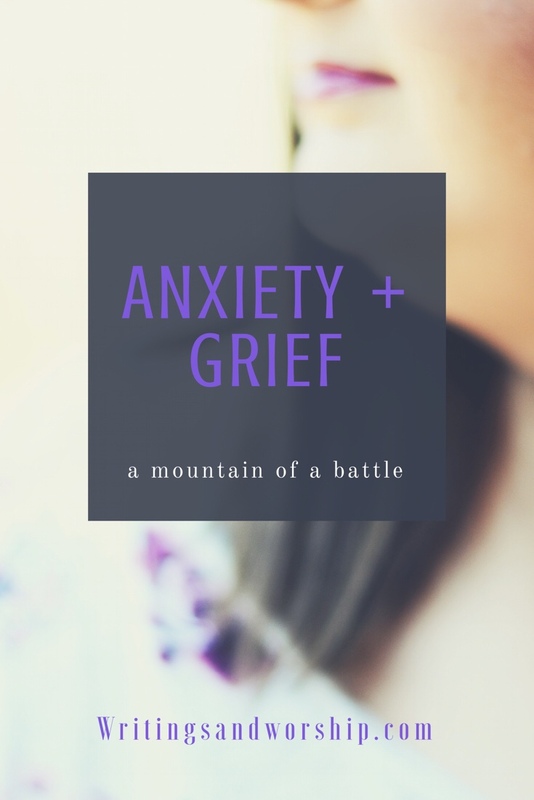 The not so funny thing is dealing with grief compounded by anxiety is hard. Grief is hard. Anxiety is hard. Both are even harder. At times I don’t know which is “attacking me.” I don’t know if my panic and pain is from the grief or the anxiety because frankly they feed off of each other. I’ve gotten to a point where my anxiety disorder is something I can manage fairly well. I know what the triggers are, I understand it, and I can normally talk myself out of the fear and panic. But since my dad died, it’s been a challenge. Sometimes the battle seems impossible. The way my anxiety disorder works is yes, there are specific things that cause me a lot of anxiety but they call it generalized anxiety disorder for a reason- sometimes my anxiety is just everything in general. Sometimes I cannot pinout where it’s coming from or what’s making it spike. I know that grief is unfathomably hard no matter what, but dealing with it and dealing with anxiety is exhausting. Since the moment we were told my dad had passed away, my anxiety had probably tripled. I became so anxious about random things that people probably think on but I was obsessing over it. For instance: did my dad realize he was dying, did he feel alone, were his last moments full of fear, did he realize he was leaving us, was he in pain, etc etc. I’m sure all who have lost someone might have thought about those things but the mere thought of one of those is enough to send me into almost a full blown anxiety attack. I’m a Christian. My dad was a Christian. But for someone who has anxiety like mine, in the face of loss, the idea of heaven and eternal life seems overwhelming because it’s something I can’t fully understand. I firmly believe that God was with my daddy as he passed. I believe my daddy is in heaven. But not being able to visualize where he is, sends my anxiety up the wall. It’s the (General) idea of not knowing exactly how it happened, exactly what he’s doing that causes me to panic. And sadly, I can’t tell you why. Anxiety is not rational it’s the complete opposite. All of these overwhelming feelings after a loss can seem impossible to win. The grief tries to keep you in sorrow and the anxiety makes you relive every moment and worry about every little aspect. It may seem like a mountain of a battle, but it’s a battle you can win with Jesus. If you don’t have true anxiety, this post probably makes no sense to you. But for those who do, I think you’ll know what I mean. My family and I have discussed my situation and we think we’re dealing with a bit of PTSD. Grief, anxiety, ptsd, depression…all of these feed off one another. Friends, if you’re dealing with any of these you aren’t alone. There have been times since my dad died that I feel like I haven’t felt God. Like He has packed up and went to help someone else. But friends, let me tell you this: I wouldn’t get out of bed if it weren’t for Jesus. Even when my anxiety and grief tries to tell me God isn’t there, He is. 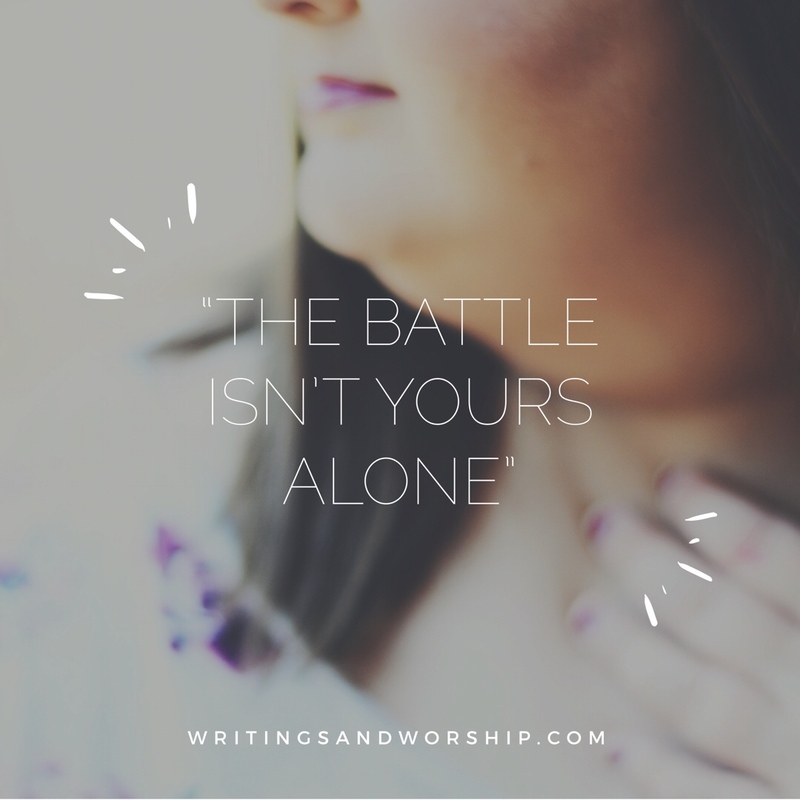 You are not fighting this battle alone. Even when I felt like God was far away, I know that I wouldn’t be where I am today without Him fighting this battle for me. God fights every battle with us and for us. 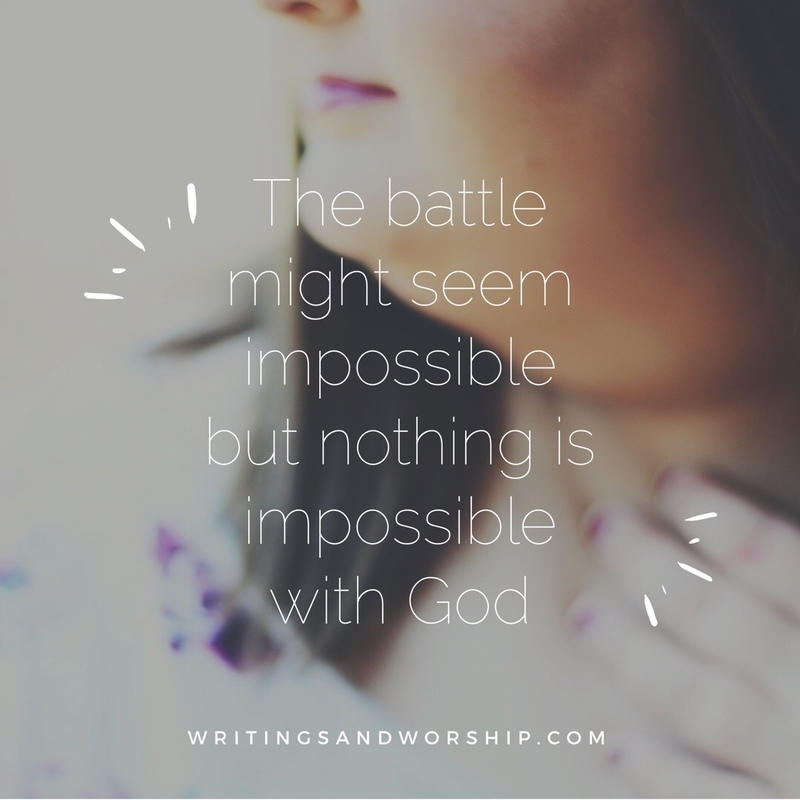 When the anxiety feels suffocating and the grief is paralyzing…God is there. He is the only one that can steady my heart and somehow keep me going through the pain of my grief. If you’re dealing with anxiety and grief, my only advice is to run to Jesus. And friends, I’m writing this for myself too. I believe that God has put this on my heart because I need to hear it too. Remember that fear and anxiety is not from God. When you’re facing anxiety and worry…that is not from God. God gives us faith, love, and more. The grief might seem too strong but keep going my friend. I wish I could say I’m far in the grief process and I’m doing much better, but I’m not. I feel no closer to “closure” than I was the day after my daddy died. 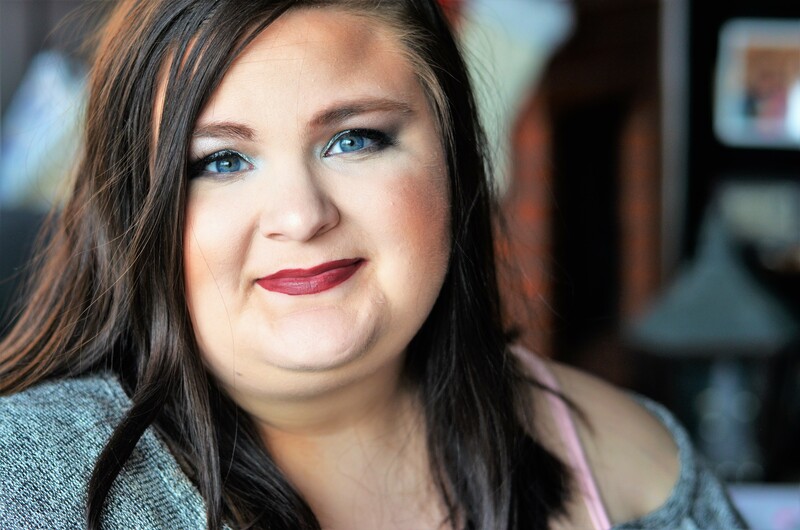 My life has been one horribly painful, anxious mess since my dad died. I’ve learned so much about myself and my family. We’re strong. We’re hanging on. And our anxiety and grief won’t define us. I hope you won’t let yours define you either. If you’re struggling with anxiety and need some online resources, BetterHelp has many great options. There is so much helpful information on their site that if you or someone you know is dealing with anxiety- I recommend taking a look. Are you interested in more anxiety posts? Let me know, I think I’m ready to share more about it. Love this, thank you so much for sharing. This his open my eyes to anxiety and helped me understand some of what I have gone thru the last few months. Oh I’m so glad. ❤️ my prayer is always to help someone somehow. I’ve been reading this post a lot, especially since I have been going through PSTD and anxiety due to my lupus and recent hospitalization. I know God loves me in theory but it’s really hard to understand, going through lupus and just having 2 seizures and being intubated. But I have my sister by my side and so many people that prayed for me. I’m still depressed about what went on though. Your spiritual nuggets of wisdom do help me so I just want to thank you.